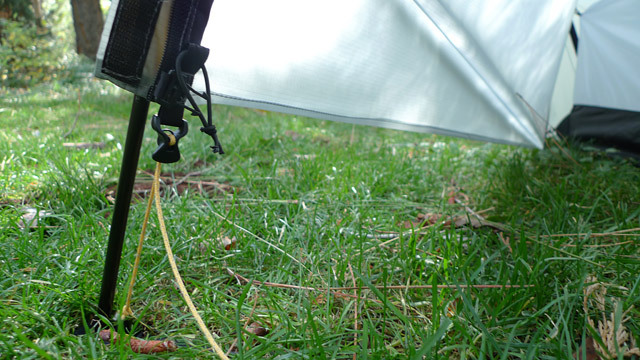 You most likely already saw the photos of the new Tarptent Scarp 1 on Martin Rye's blog. 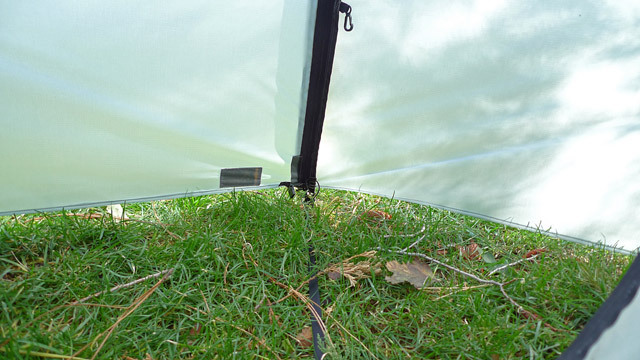 I contacted Henry Shires to get a few more information, as I am very excited about the improved tent. First off, a bit of information for existing Scarp 1 owners: Henry plans to contact all Scarp 1 owners once the production for the new fly is up and running and offer them the new fly. As he doesn't yet know what the sewing price will be he can't say anything yet how much it will be, though he mentioned to sell them at "non profit". I already have very high regards for Henry Shires and his company, but this is certainly a completely new way to reward your existing customer base. Its fantastic news for people like Martin and me, who already have the inner and poles and do not need a 2nd complete tent. Henry couldn't give too much information yet on the weight of the new tent, though he reckons weight will go up about 50 g, but its just a guess at the moment as its pre-production. Some places lost a bit of weight, others gained a bit. All within limits. The inner gained two small pockets. Looks like they're down by the door zip at the end, which is out of the way but easy to reach also from the outside. 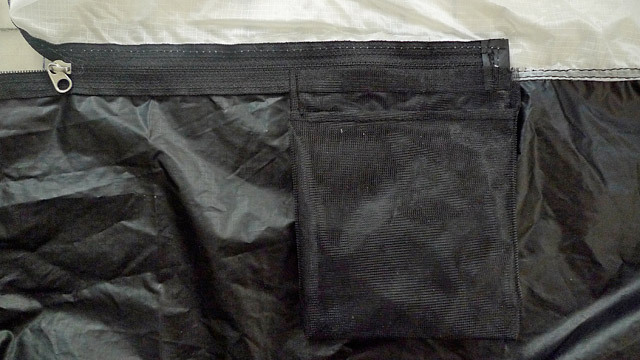 Will hold glasses and small stuff, and helps you to keep your tent tidy. I was curious on how one regulates the fly, and here you see it. Photos show the vestibule area. Fly fully down, so the cord fully pulled down. Fly up, cord tension released and fly edge tensioned up to interior clip. 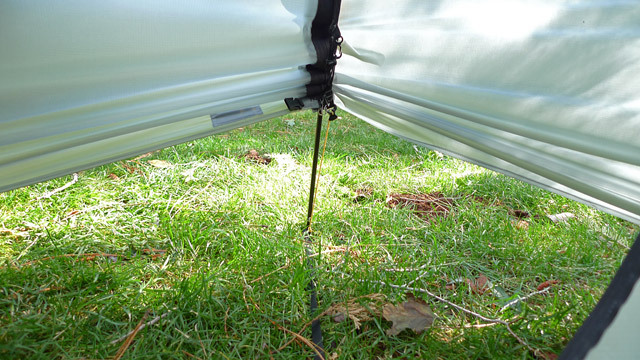 The fly now tensions to the grommeted arch strap with a cord and a quick release tension adjuster. With these new added features I believe Henry Shires created a winning tent, that even should do well in the mass market. Rewarding your existing customer base with a possibility to get the new fly for low cost is the best customer service one can get, something I am very positive about. The new design should do extremely well in winter, and its good that for the one week winter tour in next January/ February I will have this tent with me! 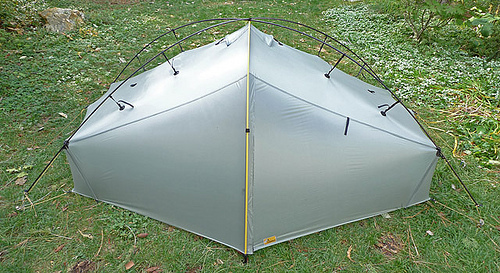 The new Tarptent Scarp 1 will be available in November, and you can order it from the Tarptent website.